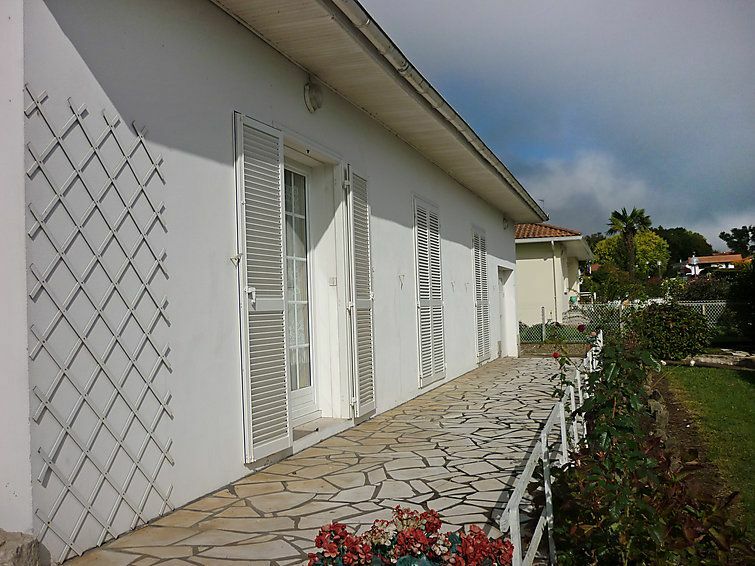 St Martin de seignanx 21 km from Hossegor: Villa "this property". In the resort, 800 m from the centre, in a quiet position, 15 km from the sea. Private: property 1'150 m2 (fenced). Shop 800 m, sandy beach "Hossegor" 15 km. Please note: car recommended. 3-room villa 100 m2. Living/dining room with 1 double sofabed (1 x 140 cm), TV. Exit to the terrace. 1 room with 1 french bed (1 x 140 cm). 1 room with 2 beds (90 cm). Kitchen (4 hot plates, oven, dishwasher, microwave). Bathroom, shower, sep. WC. Terrace. Terrace furniture. Facilities: washing machine, dryer. Garage (2 cars). Maximum 1 pet/ dog allowed.